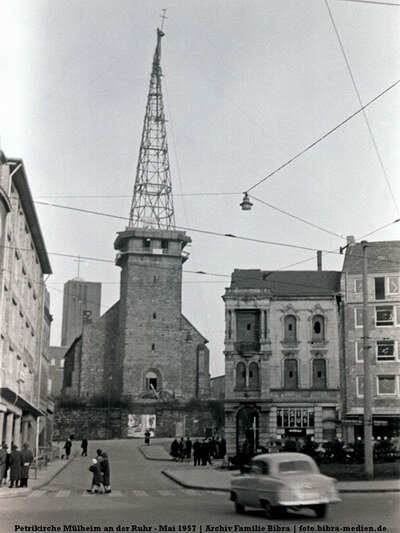 This photo is from May 1957 and again shows Mülheim’s Petrikirche with its tower being rebuilt. In the background you can see the catholic Marienkirche with its square tower, which had already been rebuilt after the war. I think only few, if any, of the other buildings on this photo are still around.